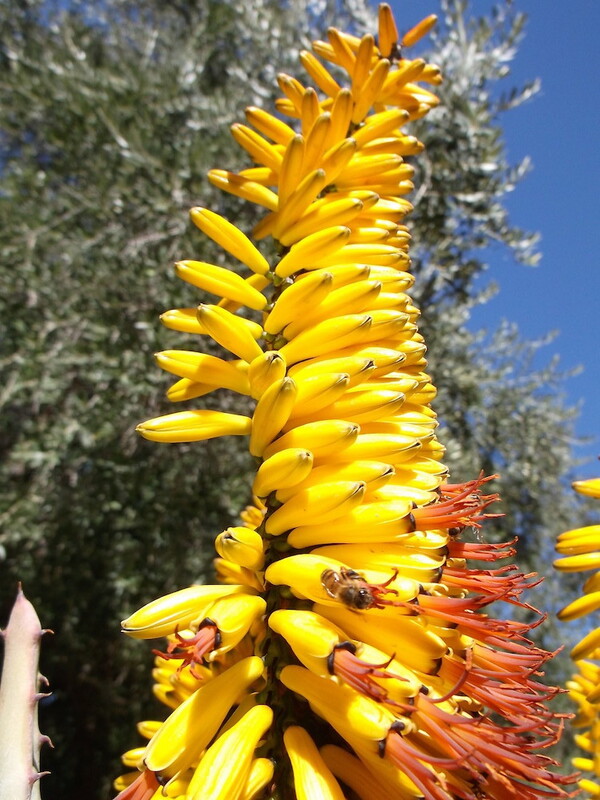 What visit to the Southwest would be complete without soaking in native flora and fauna? Whenever within earshot of the Papago Mountains, I motor into the adjacent Desert Botanical Gardens. An early morning visit in late May sees perfect Phoenix weather ~ 80˚ with single digit humidity. Past 10am, past 90˚ … Water Sunscreen Hat – Protect Thy Skin. Dusk, 98˚ and 6% humidity. The Garden is Eden for members-only. With thousands of plant species and individual plants totaling many times that (scientific records are kept on all of the thousands of individual plants), DBG is a destination botanical garden. While we love lulling beneath the pines of The Arboretum At Flagstaff, DBG is a scholar’s garden, accredited by the American Alliance of Museums (1983). Viewing Garden images from the 1950s, one remarks how much it looks the same today. A great vision, born in the 1930s, preserved and expanded by countless individuals with a passion to conserve the beautiful desert environment. This entry was posted in Gardening and tagged desert botanical garden. Returning to Jim Sudal‘s pottery gallery in Old Town Scottsdale, we find a fresh line of creation. Pine trees in his signature style, his mastery of line and movement, across bowls. And vases. Candle holders and more! We immediately recall parking the RV beneath towering pines of The Arboretum at Flagstaff. The sight and sound of these towering creatures. As Jim intended. (See The American Road Trip) Thanks for bringing it back, Jim! His new design was created to adorn a wedding gift to friends marrying in Flagstaff. So, the very pines I imagined were the inspiration for the new motif? Yes! Naturally, everyone wanted a copy. The agaves are not gone, nor pushed aside. Complemented? Naturally! This entry was posted in Craftsman / Artist, Gardening and tagged jim sudal pine tree, jim sudal pottery, jim sudal scottsdale. The old planter shelf sat beside the house, baking in the sun and rusting. Faded, looking more like the rubbish stacked upon it, the garden shelves were a step from becoming Scrapper Stan’s property. Mom wouldn’t have it on the screened porch although it would be a perfect replacement for her time-ravaged plastic planter shelves. She had a solution: How about some paint? “Ace is the Place” remains true. The same sticky oil-based Rust-Oleum of my youth is still available. But instead of slopping it all over our rusted swing-set, we went New Hat all the way. A set of wire brushes, half a dozen foam brushes, and half a pint of Flat Black. Sharing the labor, they set to wire-brushing while I made a pitcher of grapefruit-crush from scratch, fresh from the tree. While they sipped, I wire-brushed one more time. Then all of us, to the painting! Daub, stoke, dab, swipe. All manner of applications. The Rust-Oleum covered wonderfully. Across both smooth and imperfect steel, its flat black reversing years of sun damage, the oil-based paint sticking tightly to the wrought surfaces. One coat was nearly perfect, but an hour later we hit a few spots with another light coat. Wow, what a transformation! 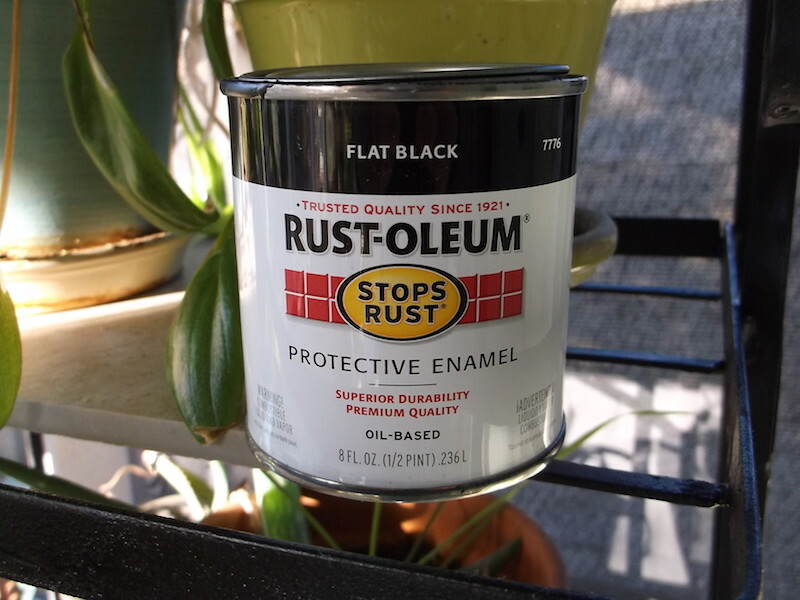 Rust-Oleum, still a winner for the professional and do-it-yourselfer alike! This entry was posted in Gardening, Product Review and tagged iron garden shelf refurbished, iron garden shelf repainted, iron garden shelf restored. We take a break from winter vacation to bring you a few recent snaps. Our favorite area of Boyce Thompson Arboretum, their trail leading along the Queen Creek Riparian Area, is just past the eucalyptus grove. With monthly rainfall 2.0″ at most, the creek bubbles near year-around, keeping the canyon a pleasure to all. 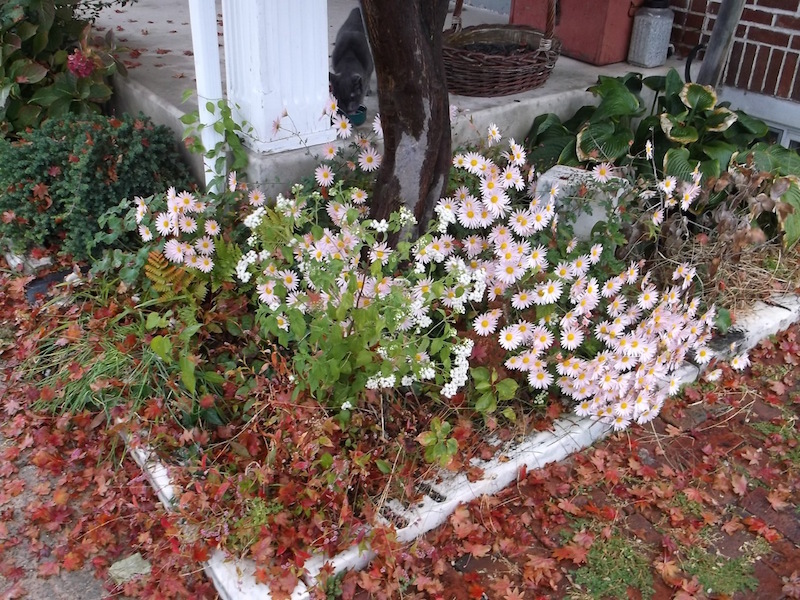 This entry was posted in Gardening and tagged boyce thompson. Approaching autumn. I can smell it, especially at night. 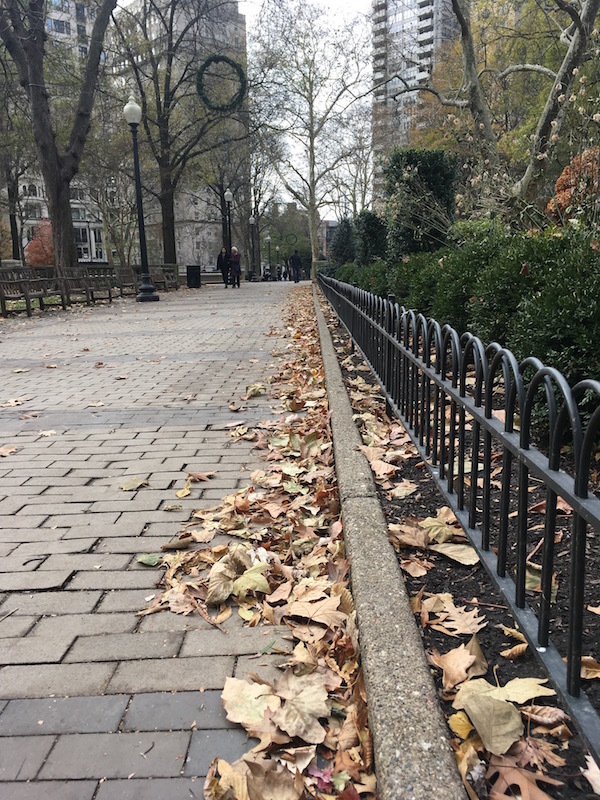 Falling leaves. Campbell’s Tomato Soup & Premium Saltine Crackers. The garden, finally tamed. But now? Still a roiling cacophony of God’s goodness. Yet among pleasures of Eve & Adam evil does exist. In the form of a nasty rash starting on my fingers, spreading to neck and knee. Winds of Darwin set forth upon my acreage a new weed, lively, unpretentious, with hidden secrets. Insects quickly grasped its unpleasantness. To me, weeks would pass before lesson was learnt. First, home remedies. Smeared honey had a cooling effect but clothes stuck to my skin. Ice wrapped in a towel? Fantastic! But I’d tend to drip across work orders, blueprints and such. Next the family doctor who made, even with my limited dermatological knowledge, a misdiagnosis. Finally, a true professional, identified by her age and demeanor – past retirement and I work because I can still work. Past diagnoses tossed aside, adjacent issues dismissed, she prods me to discovery. Yes, it must have been the garden. The only constant in a variable schedule, weeded casually many times a month. Doctor MacKay quickly determines the itching is driving me crazy. Exhibit A: Man goes to doctor without parental bidding. A steroidal cream prescribed, purchased, and applied, my symptoms are on the wane. The cream? Manufactured in the Bronx by a multi-national corporation, Perrigo (not the flooring company). A most interesting company with its roots in simple dry and wet goods capitalism. In 1887 Luther Perrigo, the proprietor of a general store and apple-drying business, had the idea to package and distribute patented medicines and household items for country stores. Located in Allegan, Michigan, the L. Perrigo Company enjoyed steady growth and, by the early 1920s, Perrigo was exceeding the needs of its rural store customers throughout the Midwest. This entry was posted in Gardening and tagged cat in garden, Doctor MacKay Malvern, I work because I can still work, triamcinolone acetonide, Winds of Darwin. A LAST MINUTE INVITE is all the coaxing I need to escape winter’s icy lock upon the East Coast. 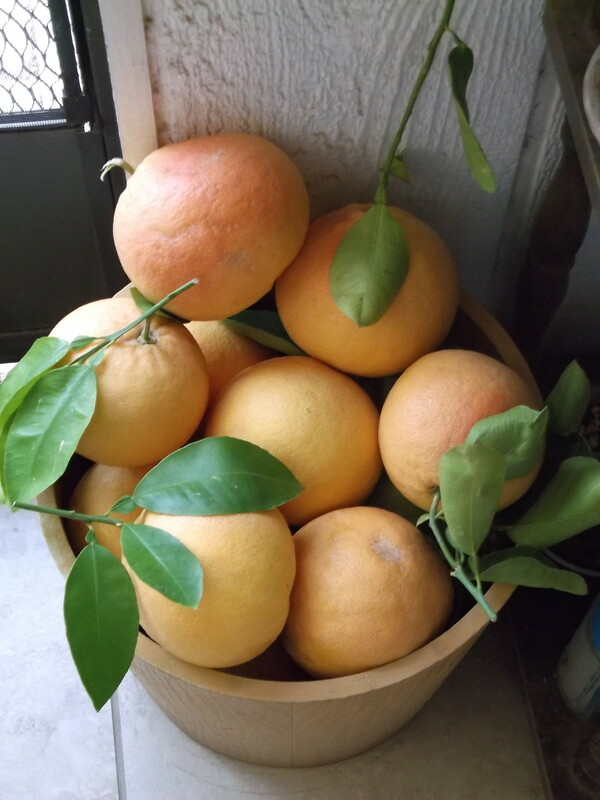 Within hours, I’m jetting to the land of ripe grapefruit right off the backyard tree. America’s favorite Mexican food in abundance! Flora and fauna, combined with excellent “winter” weather, to make this trip perfect. Many readers followed our trek via The Other Blog while visiting Casa Denogean in Superior, AZ. We had visited Boyce Thompson but, alas, forgot a camera. A trip takes planning, and this time, we had everything! Camera, water, fruit, and time. And the right time of year it was! Mt Lemon Marigold blooms scent the air. Cleveland sage, jasmine & eucalyptus combine into a heady thrust. My favorite, the creosote bush. Something for everyone! We’ll let the images do the talking . . . This entry was posted in Gardening and tagged american lunchbox arizona, boyce thompson, cleveland sage, creosote, eucalyptus, eucalyptus cleveland jasmine, jasmine, superior az.